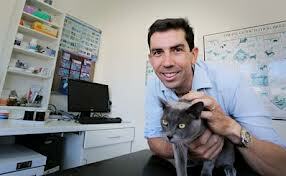 Dr Michael O’Donoghue currently works as a locum vet at a variety of practices and welcomes all enquires from past or new clients looking for veterinary locum services in South East Queensland. Michael is also a co-founder of the Pets & People grief support network where he aims to provide opportunities for grieving pet owners to find and reach qualified pet loss counsellors. As part of this endeavour, Michael also produces a range of specially designed Pet Loss Sympathy Cards available from petsympathycards.com.au. In addition to these projects, Michael is passionate about helping people who help pets and supporting Pet Friendly Property. If you would like to contact Michael in relation to any of these undertakings, please find his details below.